Validation—recognizing and accepting your child's thoughts and feelings, regardless of whether or not you feel that your child should be experiencing them—helps children develop a lifelong sense of self-worth. 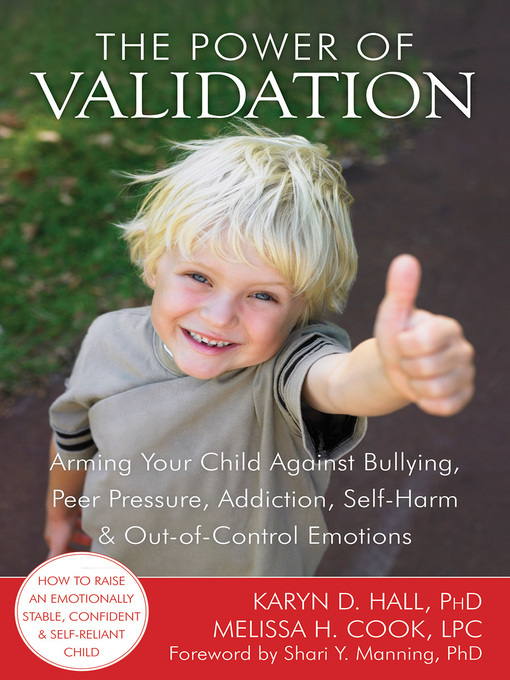 Children who are validated feel reassured that they will be accepted and loved regardless of their feelings, while children who are not validated are more vulnerable to peer pressure, bullying, and emotional and behavioral problems. "...There is valuable advice here. This approach takes mindfulness, patience, and a long-term vision, but parents who are able to help their children trust their emotional landscapes will have an easier time of scaffolding to higher reasoning, in addition to more secure relationships with their youngsters. Highly recommended." Shari Y. Manning - Author of introduction, etc.